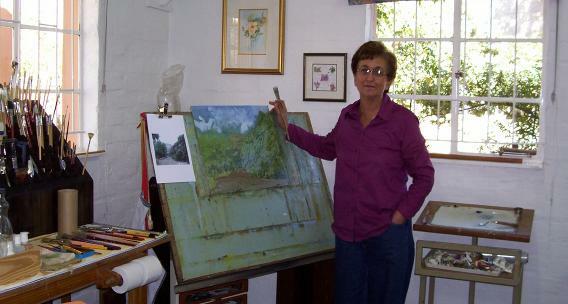 My painting style lies between realism and impressionism as dictated by the subject. Mood, light and atmosphere are the elements that inspire me with colour playing a crucial part in the creation of the painting. I believe that one successfully paints the subjects you’re truly connected to. Where there’s passion and feeling a painting comes to life and speaks for itself without lengthy debate and analyses of its qualities. Being an artist is where I want to be. Visit CLARENS to experience the village and discover the heart of Clarens.